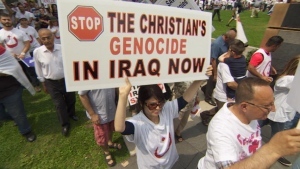 Washington, July 21 – Today, Hudson Institute released The ISIS Genocide of Middle Eastern Christian Minorities and Its Jizya Propaganda Ploy, a report produced by Nina Shea, director of Hudson Institute’s Center for Religious Freedom. 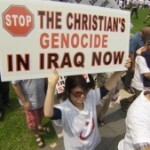 Christians are facing extinction in the Middle East from Islamic State terrorists. ISIS uses the term “jizya” for propaganda purposes and to appear more caliph-like, the report finds. The findings contradict a recent report by the influential Independent Commission of Inquiry on Syria (established under UN auspices) that ISIS recognizes “their right to exist as Christians” within its territory, because it respects them as “People of the Book.” The commission also asserts that ISIS’ attacks on Christians are politically, rather than religiously, motivated. The full report, The ISIS Genocide of Middle Eastern Christian Minorities and Its Jizya Propaganda Ploy, can be accessed here: http://bit.ly/JizyaTax. To arrange an interview with Nina Shea, please contact Hudson Institute’s Press Secretary, Carolyn Stewart, at [email protected] or (202) 974-6456. Hudson Institute’s Center for Religious Freedom promotes religious freedom as a component of U.S. foreign policy by working with a worldwide network of experts to provide defenses against religious persecution and oppression. Since its inception in 1986, the Center has sponsored investigative field missions, reported on the religious persecution of individuals and groups abroad, and undertaken advocacy on their behalf in the media, Congress, State Department and White House.